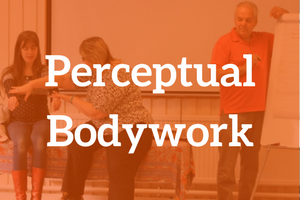 Perceptual Bodywork - This is only taught in North and Latin America at present. If you live or are travelling in that area and wish to learn, please get in touch with us so we can direct you to the relevant teaching team. Who are these professional training courses for? We also welcome those who wish to enhance their current holistic practice or develop skills for working within the caring professions. All of our professional courses lead to a recognised professional kinesiology qualification that allows you to set up in private practice working with the general public. The professional certificates are recognised by the Kinesiology Federation of Great Britain and the British Complementary Medicine Association. How is the professional training structured? Professional training in Creative Kinesiology takes three to four years and is completed in two parts. Part One is the tutored, classroom-based aspect of the professional training, usually spread over one year although it can be done more intensively. Choose to start with any of our professional trainings - Way of the Tracker or Perceptual BodyTracking. Perceptual Bodywork, is currently available only in North and Central America. On successful completion of your chosen course, although you are not yet classed as a professional kinesiologist, a Creative Kinesiology Association certificate will allow you to obtain insurance and start working with the general public and charging for your sessions under the guidance of a mentor. At this stage of your training, you put into practice what you have learned during the tutored course and receive regular supervision from your mentor. Part Two focuses on the requirements that enable you to be registered as a fully professional kinesiologist. This part of the professional training takes two to three years to complete. The specific requirements for Part Two are set out in detail in our Seven Steps of Success. 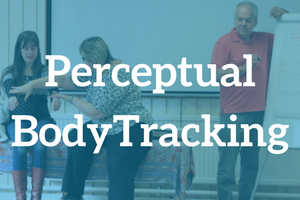 If you are seeking excellence as a practitioner, then it is highly recommended that you will at some point complete both the professional courses: Way of the Tracker and Perceptual BodyTracking (or Perceptual Bodywork). The second professional course can be undertaken at a later point, when you are ready, after completing the professional requirements in Part Two. These courses all teach the skills required to begin your journey as a practitioner of Creative Kinesiology. Each of our professional courses has its own distinct 'flavour' and style. Although you'll initially start with one professional course, completing both (Way of the Tracker and Perceptual BodyTracking) will give you the skills to work deeply with strong emotion, hold a client through a personal healing process, and work at a deep level with the body to release stress and trauma. Select each professional training course below to see a more detailed syllabus and to find out about the teaching, objectives, assessment and your next steps after completing the training. Teaching you to work with physical symptoms and really listen to what the body is saying at a deep level, so the story of shock or trauma, aches, pains or discomfort can be witnessed and released. Teaching you to track to the origins of an issue and how to work with emotional stress and trauma, as well as with deep energy imbalance, so that may be healed and released from the body. Teaching a plethora of powerful techniques and ways of healing the body and the energy systems. Only taught in North and Latin America at present. How are each of these courses different? 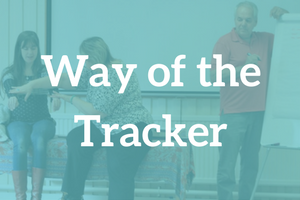 Both Way of the Tracker and Perceptual BodyTracking involve you in a personal journey of inner exploration and self discovery. If you are interested in self-healing, self development, and exploring the root causes behind your own symptoms whilst learning, then you will enjoy either of these two courses. They focus on developing listening skills, expanding tracking skills, working with deep emotion, stress and trauma, and listening to the body wisdom. There is lots of groupwork in both these courses and the teacher will facilitate learning by following group process and the group energy. Perceptual Bodywork, meanwhile, focuses on expanding healing skills and sensory perception. You will learn a series of powerful healing techniques, as well as developing innovative ways to work with the body. 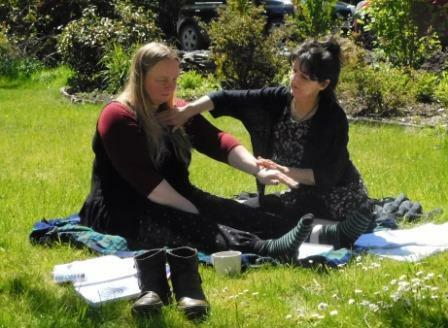 This is a wonderful way to heal your own body whilst you are learning to help others. The teaching style is within a structured, modular format. Please note that this course is currently only taught in North and Latin America.